Clear gloss & polish finish with a 3/8" t-band stringer of Redwoods set outside a Basswood core. Lo-profile black & yellow Ocean Tern and Takayama Oval logos. Butterfly fin patch, nice 2+1 setup with FCS Fusion Fins and Takayama center fin all included. Great retro price on this classic clear finish DT-2. 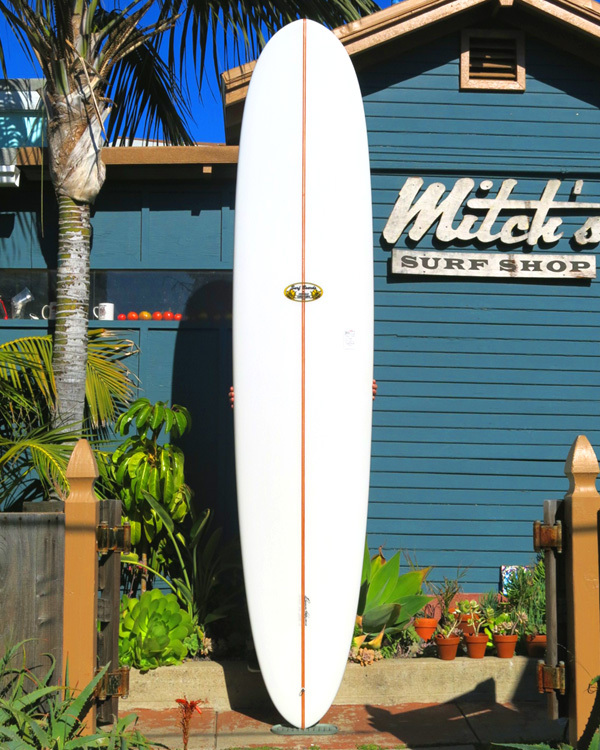 Length: 9' 4" Width: 22 5/8" Thick: 3 1/8"